Main Street Drivers strives to deliver the highest echelon of service to a clientele that demands the very best. We are here for company and promotional events. Our drivers will transport you or your team from meeting to meeting, providing you valuable time to prepare for your next appointment. Let our driver take you right to the gate and then be waiting for you when the event is done. Our service helps avoid looking for hard to find taxis and getting caught in after event gridlock. Having a driver also eliminates having to pay for expensive garages/parking lots. Helping your staffing needs any way we can! Main Street Drivers will pick-up and deliver your nanny, nurse or caregiver when you need an extra hand. We deliver more than just people, we deliver peace of mind. Let Main Street Drivers provide you and children with the safest transportation option available – your own car! 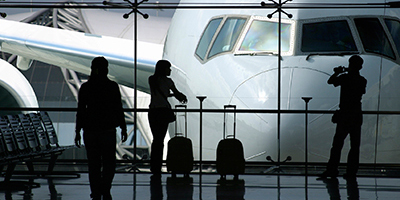 Getting to the airport for a family vacation doesn’t need to be a hassle or unsafe anymore. No need to use someone else’s car seat or hastily moving car seats from one vehicle to another. Using your own car seriously diminishes avoidable injury due to improper car seat installation. Get Fido there safe and sound! Main Street Drivers will arrange any type of transportation for your beloved pet. Perfect for grooming appointments, Veterinarian check-ups, play dates with their favorite canine buddy and doggy day-care drop-offs and pick-ups. We can deliver a vehicle anywhere, anytime! Need your car brought to the mechanic while at work? Or perhaps brought across the country for the winter? Our drivers are ready to assist you whether the job is across the street or across the country. Having a small dinner party or event for 500 people? Don’t let one of your guests drive off the premises after having too much to drink. Main Street Drivers will provide “on-site” drivers to insure that both driver and their vehicle are delivered home safely. In this litigious society we live in, protecting yourself, your corporation and others on the road is an absolute must. Main Street Drivers employs many drivers with first responder experience. These experienced drivers will assist your loved ones, whether it’s a trip to the city for a matinee or an important doctors appointment. Our driver can assist from start to finish. Assuring that your loved one will be well cared for until they have been safely returned home. Your peace of mind is our top priority. Can’t be at 3 places at one time? Baseball, Gymnastics, Soccer, Theater, Basketball, Art, Dance……. As parents ourselves, we realize that most kids programs seem to all start and end at the same time, making it impossible to be everywhere at once. Let Main Street Drivers relieve some of that unnecessary stress. We are available to help with any or all of your carpooling needs. Saving money but not style! Why spend twice the money on expensive limousines to sit idle for hours on end when you can get the same service in the luxury of your own vehicle at more than half the price. On average, these expensive limos/car services sit idle for more than 80% of the trip. Weddings are expensive, save where you can without losing the quality of service. Head out and hit all the hot spots you want without guilt or issues of finding a taxi. Our drivers can take you from party to party without any of the hassles. Our service is perfect for party & club hopping, Fashion Week, real estate agents and any other event that convenient transportation is a must. Don’t let a DWI ruin your life. DWI convictions/accidents can destroy families, derail a promising career and possibly land you in Prison. Our DWI prevention service ensures that you never have to worry about driving home while impaired. MSD will dispatch a team of two drivers to any location on a moments notice to make sure you and your vehicle are delivered to your final destination safely. MSD Mobile Detailing…..We come to you! Hire Main Street Drivers to assist in any size corporate or promotional event. Whether it’s a small event with just a few valued employees or a full-scale corporate launch or promotional campaign, Main Street Drivers can staff you with as many professional drivers as needed. You supply the vehicles and our drivers will make sure your guests get from location to location without any hassles.